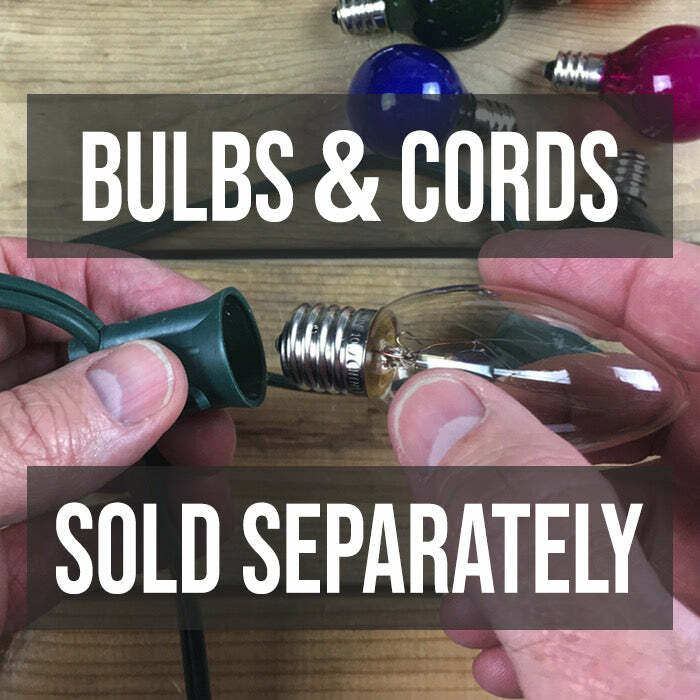 Install these bulbs in existing C9 (E17 bases) cords or shop for new C9 Christmas light cords here. 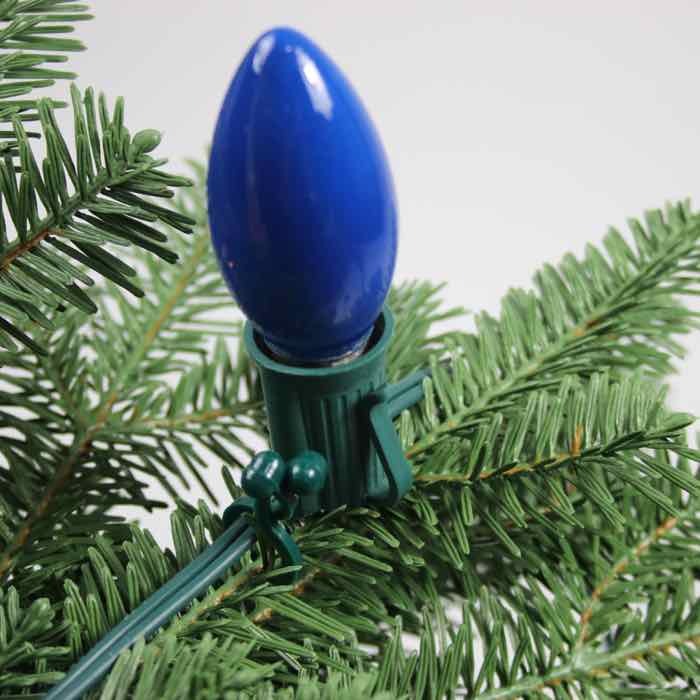 These opaque blue C9 Christmas bulbs are sure to bring a special welcome to your houseguests and neighbors when you embellish your holiday decorations with them. A longtime favorite of Christmas light lovers, C9 Christmas lights bring a nostalgic appearance to your Christmas tree and indoor garlands. Place the blue C9 bulbs in your cord, purchased separately, and let the beautiful glow bring rich color to your house. We love the combination of blue and white C9 bulbs for a frosty, winter appeal. With the cords and bulbs purchased separately, there are multiple variations to fit your style and decorating personality. 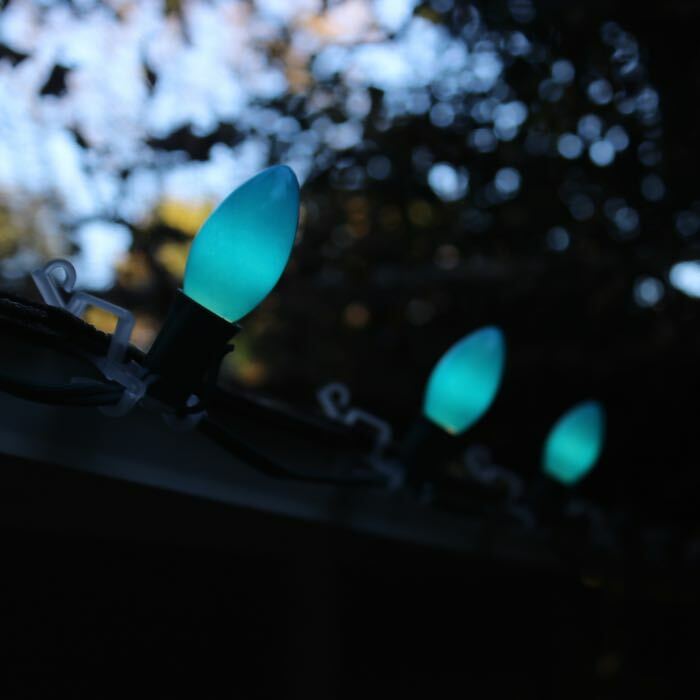 We also provide a variety of hardware options for showing off these opaque C9 Christmas lights in your outdoor applications. Let us help you bring light and joy to all of your holiday festivities. These lights are the perfect color! I can't wait until it snows. We had similar lights a few years ago and snow made them absolutely stunning. Looks just like the old C9's! First of all, i didn't just buy the blue bulbs, i also bought the red, white, green, and orange.. so this review is for all of the above. The bulbs are nice and bright (but not overly bright). I have these on my Christmas tree and they look great! Before i installed them, i had some old vintage C9 bulbs that i had plugged in right beside these for comparison. They look identical. You absolutely can not tell the difference, so if you are going for the full vintage look, look no further. The only cosmetic difference i noticed was the metal base of the bulb, the old one's are made of brass, and the new one's are not. I have been using these for a week now with zero problems. I highly recommend them! The bulbs were a great addition to my Christmas celebration. They were the kind I remember on our home decades ago. I intend to buy the much darker blue (LED) on next year's celebration.